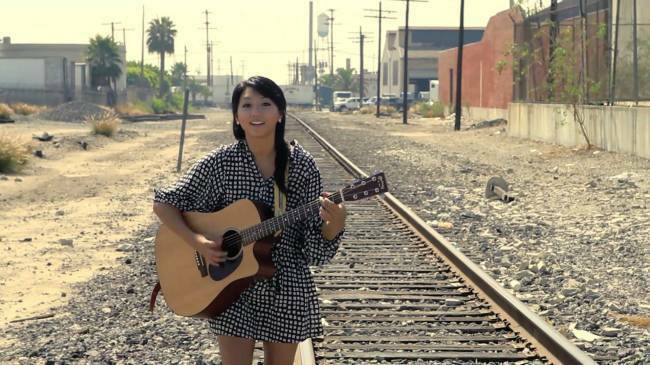 For singer-songwriter Clara C, who was born in New York City and raised in Los Angeles, Korea had been an unknown land. 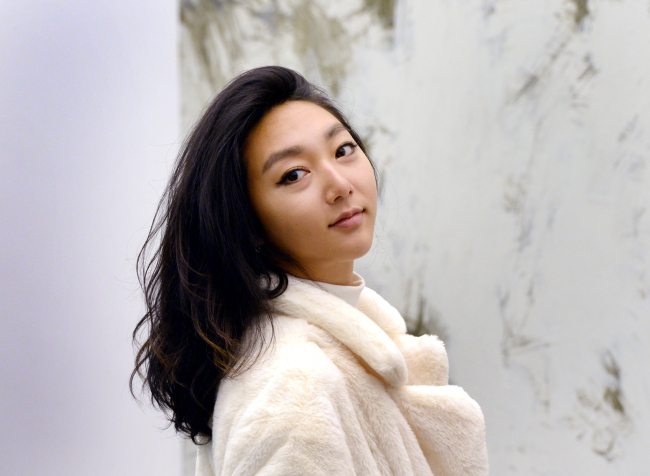 She wrote and sang in English, but deep in her heart, Chung had room for Korea, the motherland of her parents. “At first, I didn’t even know that I had Korean fans on my YouTube channel. When I realized I had Korean fans, I started to write Korean on social media, and they liked it. And now, I’m very excited to meet my fans here, in Korea,” said Chung Jae-yeon, better known as Clara C, in a recent interview with The Korea Herald in Seoul. Chung held her first solo concert at Sangsang Madang Live Hall in Hongdae, Seoul, on Friday, which marked her first official encounter with fans here. She dropped the albums “Esc” and “Organika” in 2012 and 2013, respectively, and went on global tours. But it was only after her self-composed songs “Offbeat” and “Camel Song” were included in the soundtrack of the Korean drama “It’s Okay, That’s Love” in 2014 that Koreans began to know her name. “I think I’m a bit different from other singers on YouTube who give more weight to their cover songs. In my case, my fans ask me to sing the songs I made, such as ‘Offbeat,’ instead of the covers. And I’m very lucky for that,” she said. Despite starting out on YouTube, where she now has more than 260,000 followers, Chung said she doesn’t want to be pigeonholed by the digital space. Instead of being called a YouTuber, Chung wants to showcase herself as a well-rounded musician who can develop her own music. Now an established artist who performs around the world, Chung has also collaborated with rappers Dumbfoundead and Jay Park. Pursuing music in the US as an Asian was a challenge at first. Without any musical background -- she studied psychology and education in college -- becoming a singer had seemed far-fetched. “Although I’d always dreamed of becoming a singer, I had lost confidence in myself back at the time. People told me that I wouldn’t be able to make it. Also, the US entertainment field was mostly dominated by white or black people, while there was little room for Asians,” she said. In 2010, Chung auditioned for the Asian-American talent show “Kollaboration” and won the first prize. Chung also competed in the Korean talent show “Superstar K” last year, though she failed to reach the finals. “At that time, people asked me why I had competed in the show when I was already doing well in the US. Well, I just liked the challenge, and I don’t regret it,” Chung said. Her Korean is not perfect, but Chung now plans to write songs in Korean and translate her English songs into Korean. Last year, she signed a contract with Korean entertainment label Delight Music, which will serve as the base for her upcoming activities in Korea. “If people don’t like my Korean, that’s fine, because I’ll work on it. But my identity as Clara C won’t change,” she said.